This issue of the Monitor addresses the issue of G20 outreach and presents a collection of perspectives from non-G20 member countries on the role and performance of the G20. The contributors have been asked to identify where the G20 process can add value and how it can be improved. The G20’s work has myriad implications for non-member countries. The G20 process needs to reflect this in a meaningful way. The first step for the G20 to assuming its broader, global responsibility is to push ahead with its efforts to promote growth in the G20 economies, since other countries will also significantly benefit from a stronger, more sustainable and more balanced recovery in the world’s biggest economies. The G20 can do a lot to address non-member countries’ concerns without losing its focus and core agenda. Promoting reform in international organisations and facilitating productive cooperation with non-members and invited guests are two key areas. Now that the G20 approaches its six anniversary, the effectiveness of its outreach process warrants a constructive and outcome-oriented debate. Outreach is of critical importance to the G20’s long-term success. In addition to enhancing its outreach efforts, the G20’s accountability and outcome focus need to be strengthened in order to manifest its position as the world’s ‘premier forum for international cooperation’. This issue of the Monitor covers views on the G20 from a non-member perspective along with the related topic of the G20’s outreach to non-members. The focus is on outreach to non-member countries and not the G20’s engagement with non-official stakeholders such as: business (B20), civil society (C20), labour (L20), think tanks (Think20) and youth (Y20). This will be covered in a subsequent Monitor. The G20’s efforts to engage with non-member countries is in part a response to criticisms regarding the legitimacy of the G20. It is sometimes portrayed as a self-selecting forum with no membership criteria but with ambitions to be a steering committee for the global economy. Some of the concerns by non-members over the possible reach and influence of the G20 are reflected in the articles. For example, Raymond Saner refers to Switzerland’s concerns over the impact of the G20 on international organisations within and outside the United Nations system and the emergence of an informal G20 governance structure for these organisations. Each G20 chair has adopted an extensive outreach strategy, involving engagement with various international and regional institutions and forums as well as inviting a few non-G20 members as guests to the summits. Not surprisingly, the chair puts a particular emphasis on engaging with countries and institutions from its region. The G20 works to address issues that matter to all countries, not just those in the G20. […] Dialogue with non-member countries is a high priority. 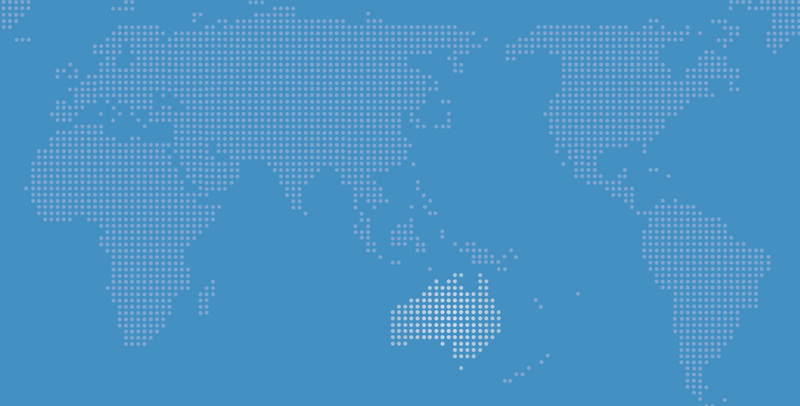 Australia wants to ensure that the G20 delivers positive outcomes for all countries. This is why the G20 engages with the United Nations and with a wide range of other institutions and groups. Australia will work closely with countries in our region and with Asia-Pacific groupings, including APEC (Asia Pacific Economic Cooperation), ASEAN (Association of Southeast Asian Nations), EAS (East-Asian Summit) and PIF (Pacific Island Forum). Australia has also announced that it will be inviting the following countries to the Brisbane Summit in November 2014: Spain (permanent invitee), Myanmar (as 2014 chair of ASEAN), Senegal (representing the New Partnership for African Development), Singapore and New Zealand. The chair of the African Union (AU) will also be invited once the 2014 AU chair has been announced. The articles from non-member country authors cover a variety of perspectives, ranging from the views of Switzerland, which on GDP terms is among the largest 20 economies in the world, to the small island states of the Pacific. Perhaps reflecting the size of the Swiss economy and the importance of its financial sector, Saner’s article highlights the proactive internal consultative processes Switzerland has on G20 issues and its active engagement strategy with the G20. While Switzerland has unsuccessfully attempted to become a member of the G20, it actively pursues its interests with G20 members, particularly through relations with the chair. In many respects, Switzerland appears to view the G20 as a possible threat, for as Saner notes, ‘Switzerland holds the view that cooperating with the G20 is the best way of defending its economic and financial interest in key areas’. One of the main requests that Switzerland has of the G20 is for greater transparency. It is interesting to contrast Saner’s outline of Switzerland’s active engagement on G20 issues with the article by Azamat Abdymomunov, which provides a perspective on Kazakhstan’s approach to the G20 when it was invited as a guest by Russia to the Saint Petersburg Summit in September 2013. As Abdymomunov notes, once Kazakhstan received an invitation to the G20, it felt it had very little time to understand the G20 process and determine how it could add value. Abdymomunov points out that ‘It is important for invited countries to navigate through multiple priorities and topics of the G20 summits and understand the origins of each commitment and its evolution’. There are lessons here for the G20. In particular, do not assume that every country follows the process of the G20 and how it operates. Ron Duncan explores what the G20 can do for the small island economies in the Pacific. He notes that two areas in the development agenda that are very relevant to the Pacific island countries are the threats from climate change and increased possibilities for migration and remittances. He points out, however, that the United Nations Framework Convention on Climate Change (UNFCCC) should be the more relevant body to deal with climate change, and that in the area of migration there are promising signs of this being pursued by the UN Global Forum on Migration and Development. Duncan points out, nevertheless, that the best contribution that G20 countries could make for migration and remittances for developing countries is to boost the growth rates of G20 members. Other areas on the G20 agenda that are of particular interest to Pacific economies include reducing the cost of remittances, discouraging the subsidisation of bio-fuel production, and energising the Doha Round of global trade negotiations. Emmanuel Nnadozie provides an African viewpoint on the G20, particularly in terms of assessing how Africa has benefitted from the G20 in achieving economic transformation and overall social and economic development and how the G20 can add value in this regard. His bottom line is that there is a great deal of room for improvement. A major concern of Africa is its underrepresentation in the G20 and related organisations such as the Financial Stability Board, with South Africa being the only African member in both bodies. Another concern identified by Nnadozie is that neither African, nor development issues more generally, are seen by the G20 as part and parcel of dealing with global economic issues – and they should be. Moreover, he believes the G20 has not been able to make, and most importantly implement, bold commitments on development. There is clear scepticism from Nnadozie as to whether the G20 will deliver on any of its development commitments. The result is a perceived lack of impact of the G20 on the lives of ordinary Africans. The New Zealand perspective on the G20 presented by Gary Hawke is a rather critical one. He says that the G20 will only be the premier global economic forum in anything other than a symbolic way if it develops a program of work which can be endorsed and kept to schedule at G20 meetings but where policy action and implementation take place elsewhere, particularly in the international organisations. One of the roles of the G20 should be to ensure that this work is coordinated and ‘fit for purpose in the twenty-first century rather than perpetuations of the post-war settlement of the mid-twentieth century’. The articles by Susan Harris Rimmer and Daniela Strube take stock of the G20 efforts on outreach but also offer suggestions as to how it can be improved. Strube notes that the G20’s engagement with the Commonwealth of Nations and the Organisation Internationale de la Francophonie has been active, well-structured and strategic. These are models to pursue and she notes that Australia’s presidency of the G20 in 2014 offers a special opportunity for further strengthening the G20 Commonwealth relationship. Strube observes that formalising that the chair of relevant regional bodies will attend G20 summits would be advantageous. However, there are still question marks over the capacity, commitment and appropriateness of the chair of these bodies to represent the views of all the members. In addition, as Nnadozie notes in terms of African representation, the inclusion of the chairs of the African Union and NEPAD in the G20 summits is a positive step. However, it means that there is a high level of turnover among African representatives, since the chairs of these bodies change every year. Importantly, Nnadozie notes that in order to get more from Africa’s relations with the G20, African countries themselves must have more effective mechanisms for cooperation with the G20 and amongst themselves. Harris Rimmer recommends that the G20 troika should prepare a more comprehensive outreach strategy that includes targeted engagement around priority issues for the Brisbane Summit (such as low-income countries on corporate tax evasion). There should also be a sophisticated e-diplomacy strategy that concentrates on leaders. In addition, Harris Rimmer suggests that when the G20 is operating in steering committee mode, the troika should communicate agenda priorities earlier and with more impact. Outreach to non-G20 members is important. The challenge is to make it effective and not simply one of tokenism. It also has to be a two-way exercise: namely an occasion for the G20 chair to brief non-members on the G20’s priorities but also an opportunity to hear the views and concerns of non-members. Improving the G20’s overall communication and transparency are key components of promoting more effective outreach. But it is also clear that just inviting smaller, non-member countries to be guests at a summit is not sufficient. They need more targeted assistance in order to understand the G20 and where their contribution can add value. Overall, while an active outreach strategy may be one response to concerns over the G20’s legitimacy, the most effective response is for the G20 to be effective and successful in achieving its objective of stronger, more sustainable and more balanced global growth. This will benefit all countries, G20 members and non-members. The Australian G20 Presidency, “The G20 and the World”, January 2014: https://www.g20.org/g20_priorities/g20_and_world. With the G20’s ongoing transformation from a crisis intervention mechanism to a global steering committee, outreach has become an increasingly important issue. The G20 is a mechanism for international economic cooperation among its member countries. However, a lot of the policy issues it addresses, such as financial regulation and trade liberalisation, also have, by definition, significant effects on non-G20 countries. Therefore, the G20 cannot simply ignore non-G20 countries’ perspectives on the implications that G20 policy commitments have on them. Since its elevation to a leaders’ process, the G20 has almost immediately reacted to these concerns and established an informal outreach strategy which has grown in scope and focus over time. The G20’s approach to outreach has three target groups: non-member countries, international organisations and domestic stakeholders. This article will focus on the first two, representing the international dimension of outreach. Consultative activities targeting non-members can be conceptualised as ‘club’ outreach while engaging domestic stakeholders constitutes ‘network’ outreach. Seventeen guest countries have been invited to the eight Leaders’ Summits since 2008: two from Europe, two from Latin America, seven from Asia and six from Africa (see Table 1). The Australian presidency has recently added at least two more countries to the list (New Zealand, Myanmar in its capacity as the chair of ASEAN and the chair of the AU which is to be determined). Spain has participated in all Leaders’ Summits and has the status of a permanent guest. The Netherlands was invited to the first four G20 Leaders’ Summits. Together with Switzerland, these two countries, Spain and the Netherlands, are the only ones of the 20 largest economies (in GDP terms) that are not members of the G20. Instead the G20 includes Argentina and South Africa in order to enhance its regional representation. With the same objective of improving the regional balance of the countries at the G20 Summit table, the Netherlands was dropped from the list of invitees at the Seoul Summit in 2010. This was to allow the inclusion of more African and Asian representatives while trying to limit the size of the forum. The G20 also increasingly invites countries in their capacity as chairs of major regional organisations. Six such regional organisations have been considered so far. The chairs of the Association of Southeast Asian Nations (ASEAN), the New Partnership for Africa's Development (NEPAD) and the African Union (AU) have been invited to most summits; the Global Governance Group (3G) has been considered for three summits; the Commonwealth of Independent States (CIS), the Community of Latin American and Caribbean States (CELAC) and Gulf Cooperation Council (GCC) for one summit each. Since the Mexican presidency, it has become custom to invite six instead of five guest countries. In addition to individual countries being invited to G20 summits, the heads of international organisations also attend. At the Russian summit in 2013, the United Nations (UN), the International Monetary Fund (IMF), the World Bank, the Organisation for Economic Co-operation and Development (OECD), the World Trade Organization (WTO), the International Labour Organization (ILO) and the Financial Stability Board (FSB) were each given a chair at the summit table. The G20 outreach strategy is largely the responsibility of each G20 presidency and does not only encompass the Leaders’ Summit. Russia, for example, implemented an extensive pre-summit outreach effort sending special envoys from the Ministry of Foreign Affairs. The Commonwealth of Nations (Commonwealth) and the Organisation Internationale de la Francophonie (Francophonie) have been particularly dedicated and constructive in engaging with the G20. This is largely a product of the proactive commitment of these organisations to building a productive relationship with the G20. Implementing a dialogue with the Commonwealth and Francophonie has also been facilitated by the similarity of the structure and decision-making process of these organisations and the G20. Due to their membership, the Commonwealth and Francophonie can bring a valuable perspective to the G20 negotiations. The Commonwealth, for example, has five G20 members and 49 non-G20 members which corresponds to about a third of all non-G20 countries. The Commonwealth also has 32 small state members. By construction, with the G20 representing 19 systemically important countries and the EU, small states are not represented in the G20. Their perspective can, however, be quite different from the position of large countries, for example on issues relating to the impact of trade liberalisation or climate change. The Commonwealth uses two ways of engaging with the G20. Together with Francophonie, it organises joint meetings with the respective G20 Presidency and the G20 Development Working Group (DWG). Second, the five Commonwealth G20 members have explicitly committed to raising the concerns of non-G20 Commonwealth members in the G20 negotiations. The first consultation between the Commonwealth and the G20 was initiated by the Canadian G20 presidency in 2010. In 2011, the Commonwealth and Francophonie started to collaborate officially on G20 matters by organising a joint meeting in Cape Town with the G20 DWG. In 2012, the Annual Commonwealth Dialogue on the G20 Development Agenda (ACD) was set up to coordinate Commonwealth member positions on relevant issues. Australia took a leading role in establishing the ACD. The Commonwealth Secretariat also conducts technical analyses on G20 development agenda topics. Australia’s presidency offers a special opportunity for further strengthening the G20-Commonwealth relationship. What is most remarkable about how the Commonwealth and Francophonie are engaging with the G20 is the efficiency, structure and strategic nature of the collaboration of the two organisations in dealing with the G20. It is based on a mutual strategic decision that a joint structured approach would yield the best results in terms of getting their (non-G20) members’ voices heard. This collaboration did not only achieve its objective, but also led to a strengthened relationship between the two organisations. Initially, the G20 focused on containing the immediate ramifications from the global financial crisis rather than on procedural and legitimacy questions relating to its membership and operations. The economic and political influence of the G20 gives it, by construction, a responsibility to think beyond its internal affairs and proactively deal with policy externalities. The very establishment of the G20 is recognition that global economic governance in the twenty-first century will also have to include countries other than the incumbent Western leadership bloc. The inception of the G20 is also a move towards the active recognition of diversity in the global political arena. However, it can be argued that Europe and the ‘West’ are still overrepresented in the G20 and several countries have claimed that they should be included. However, the possibility of adding more countries to the group is often seen as problematic based on the assumption that there is a trade-off between efficiency and representation. While increasing the membership would make an informal and direct discussion more difficult, it may enhance legitimacy and bring in committed and active actors that may help drive the process. However, reduced flexibility may be an almost certain drawback from increased representation, along with a loss of efficiency that inevitably comes with larger groupings. Conceptually, this problem can be described as a trade-off between input and output legitimacy. Input legitimacy represents the idea of a ‘government by the people’, i.e. a legitimate input, while output legitimacy operates in terms of a ‘government for the people’, i.e. a legitimate output. Realising both objectives simultaneously can be impossible, a situation that is described as the ‘democratic dilemma’. With regard to the G20, it can be argued that certain issues require ‘minilateralism’ and there is therefore a place for the G20 in global governance alongside existing platforms such as the UN and bilateral diplomacy. Nonetheless, the G20 requires a clear and feasible strategy addressing its legitimacy issues. Realistically, input legitimacy can only be altered at the margins. Uninviting Spain seems to be the most straightforward and least disruptive way of immediately improving the regional balance on the G20 table. Unfortunately, this opportunity has been missed by the Australian presidency. Any official G20-led debate over potential new members is likely to open doors to open-ended discussions and may seriously paralyse the operations of the G20. However, the underrepresentation of Africa is a concern and should ideally be addressed at some point in future by adding a second African country. Meanwhile, a strong formal commitment to inviting two African guests is a step in the right direction. In addition, the concept of issue-specific outreach, i.e. inviting countries to join specific G20 working groups, is a pragmatic way of practising outreach and should be used more extensively. In addition to the question of country membership, much of the discussion about G20 outreach has focused on the role of regional and international organisations. The G20 was initially seen as an alternative to the UN. In the wake of the early global financial crisis, the UN proposed its own crisis mechanism, summarised in the so-called ‘Stiglitz report’. However, faced with the G20’s success in containing the crisis, the UN has since accepted the G20 as a complementary forum by participating in the leaders’ summits. This established a two-way relationship between the G20 and the UN, with the G20 countries being members of the UN and the UN contributing to the G20’s work. Similarly, it has been suggested that the participation of the chairs of major regional organisations should be formalised to give more continuity to the negotiations within the G20. However, this type of ‘proxy’ legitimacy, where the chairing nation represents the other member countries of a regional organisation in the G20, may suffer from commitment problems on the side of the chairing country. Nonetheless, formalising the membership of regional organisations would indeed be a useful approach for transitioning the G20’s ad-hoc outreach practice into a more predictable mechanism commensurate with the G20’s increasingly long-term and strategic role in global economic governance. Predictability has been mentioned by non-G20 countries as an important concern with regard to the outreach strategy. In this way, the regional dimension of G20 outreach can be an opportunity rather than a threat to the G20’s legitimacy. Despite the limited room to manoeuvre in terms of input legitimacy, the G20’s economic and political power in itself should not be seen as conveying legitimacy, but the G20 has to deliver outcomes. Therefore, the G20’s legitimacy has to largely rest on output legitimacy. Accountability is a key prerequisite to achieving output legitimacy. The challenge of implementing accountability raises two major questions. First, legitimacy is a relative concept, so to whom is the G20 accountable? It is briefly discussed above how the G20’s accountability may transcend its membership and how this could be addressed. In addition, accountability to the G20’s domestic constituencies is crucial to deliver output legitimacy. The second question concerns the process of establishing accountability. In this regard, it is important to maintain a two-way process where the G20 works towards delivering outcomes ‘for the people’, but also listens to their voices in determining policy objectives and strategies. This is a challenge that goes beyond the G20’s relationship with the rest of the world. See Susan Harris-Rimmer’s contribution in this issue. IMF, World Economic Outlook ‘Transitions and Tensions’, Washington DC, 2013. Russian G20 presidency, Outreach Strategy of the Russian G20 Presidency, 26 February 2013: http://en.g20russia.ru/docs/g20_russia/outreach_strategy.html. Steven Slaughter, “Debating the International Legitimacy of the G20: Global Policymaking and Contemporary International Society,” Global Policy 4 (2013). Andrew Cooper, The Group of Twenty: Input and Output Legitimacy, Reforms, and Agenda, ADBI Working Paper Series, August 2012. Paola Subacchi and Stephen Pickford, Legitimacy vs Effectiveness for the G20: A Dynamic Approach to Global Economic Governance, Chatham House Briefing Papers, October 2011. Fritz Scharpf, Governing in Europe: Effective and Legitimate? (Oxford: Oxford University Press, 1999). Robert Dahl, “A Democratic Dilemma: System Effectiveness versus Citizen Participation,” Political Science Quarterly, 109 (1994). Stephen Grenville, “G20 Membership: Horses-for-courses”, Asia Pathways, Asian Development Bank Institute, 12 October 2012: http://www.asiapathways-adbi.org/2012/10/g20-membership-horses-for-courses/. Among others, Pradumna Rana has suggested this in: Pradumna Rana, “A Proposal to Enhance the G20’s “Input” Legitimacy,” VoxEU, 22 October 2011: http://www.voxeu.org/article/proposal-enhance-g20-s-input-legitimacy. Joseph Stiglitz, The Stiglitz Report: Reforming the International Monetary and Financial Systems in the Wake of the Global Crisis, (New York: The New Press, 2010). Ambassador Vanu Gopala Menon, Strengthening the Role of the UN in Global Economic Governance, 2 June 2010: http://www.un.org/esa/ffd/events/2010GAWGFC/7/Stmt_Singapore.pdf. The world economy is changing rapidly. In August 2013, the International Monetary Fund (IMF) reported that for the first time in recorded history, the combined gross domestic product of emerging and developing markets, adjusted for purchasing price parity, has eclipsed the combined measure of advanced economies. But the global economy is still fragile. The rise of China and the BRICS nations (Brazil, Russia, India, China and South Africa) is leading international relations scholars to debate whether a new international order is emerging. The effectiveness/efficiency claims of the G20 have been built on the idea of a small, compact and self-selected membership which can move relatively quickly to make decisions. However, the legitimacy of a global governance actor usually rests on broad claims of representation, or a universal mandate (an example is the United Nations). The solution for the G20 is to keep its current membership, but improve its outreach to a greater number and wider array of state, private sector and civil society actors, and increase accountability measures at the leader level. The G20 leaders’ summit is a new entity in international relations, only five years old. The G20 itself can be seen as the product of outreach by the Group of 8, facing challenges to its own legitimacy during the global financial crisis. In the last five years the G20 has become an important new global governance actor, dealing with crises, and urging coordination to promote sustainable and balanced growth. But it has faced serious questions about whether or not it is an effective actor – accountable to its own agreements, or even a legitimate entity. This paper seeks to understand and make suggestions for the improvement of what is known as the ‘outreach strategy’ of the G20, and thereby expand our understanding of global governance processes in a time of seismic power shifts. Do the ‘systematically significant’ countries (or pivotal or middle powers) of the G20, such as Australia, Mexico, Turkey, Indonesia, Saudi Arabia, Canada and South Korea, have a strategic advantage when it comes to outreach in comparison to non-G20 countries, and citizens in G20 countries? What aspects of the outreach process are most difficult? Which issues on the G20 agenda are most difficult to communicate to non-members, and what are the risks/opportunities of reaching out on these issues? Does better outreach lead to fewer violent protests? What does the G20 as a case study tell us about global shifts from club diplomacy to network diplomacy? As the G20 operates on a ‘troika’ system where the immediate past host, present host and future host work together to ensure continuity, this poses challenges for consistent outreach. The G20 has evolved rapidly, and large sections of the agenda are led by central bank governors and finance officials (whom Anne-Marie Slaughter would call regulators) rather than diplomats. The governance systems of each G20 member are diverse, with a diversity of views about democratic governance principles and the inclusion of civil society. The G20’s membership is contested – but its importance is not. The G20 economies provide over 84 per cent of the world’s output, 80 per cent of global trade and two-thirds of the world’s population. Serious strategic and coordinated attempts at outreach, even if minimalist in nature, are likely to have impact. Now is the time to invest in outreach. The Russian presidency had a public outreach strategy, which is now being evaluated. The Australian summit in Brisbane 2014 has the potential to be an excellent comparative case study. Only five years since the first leaders’ meeting, the G20 is suffering a loss of confidence in its ability to successfully promote policy coordination between its members and achieve global economic stability and sustainable balanced growth; to design financial regulation that will prevent the next crisis; and to progress financial architecture reform. The organisation is constantly being analysed as a global governance actor in terms of effectiveness and legitimacy. Kharas and Lombardi speak of the G20 as a whole having made ‘mixed’ and ‘uneven’ progress, as do other well-placed commentators. Hugo Dobson identifies three key criticisms of the G8 which are now being levelled at the G20: low legitimacy, overlap with the work of other actors, and questionable effectiveness and value for money in terms of progress on its own agenda. Ian Bremmer writes of a ‘G-Zero world’ without clear leadership. Some see the G20 as ‘a lever for progress’ on many issues facing global leaders, because the correct actors are at the table to break these deadlocks. In this sense, at this historical juncture, the G20 can be seen as a critical platform for the future of global governance, as a forum with deliberately shared membership between emerging and dominant powers which is nimble enough to move quickly. This is not to dismiss the serious legitimacy issues the G20 has regarding membership and outreach, but to see them as intimately linked. The advantages of nimbleness must be clear and well communicated. Serious analysis of the G20 outreach program – to member countries, to non-G20 countries, to citizens of the G20 members and beyond – is timely and important. The aim of my wider research is to create a methodology to evaluate summits across time and troikas, called the G20 Outreach Index. This paper identifies the following examples of outreach, using a diplomacy framework. Analysis of outreach entails a systematic examination of the G20’s multiple accountabilities, and the link between accountabilities, questions of legitimacy, and measures of success. David Skilling has argued that ‘[t]he fundamental problem is that trading off inclusiveness for effectiveness only works if the G20 is in fact effective’. Accountability to the current G20 agenda/promises may be important, as Skilling suggests. Accountability in other senses to the citizens of G20 countries, including women; to non-G20 countries; to regional actors; and to the world’s poorest people may be just as important. G20 outreach to least-developed countries (LDCs) and transnational civil society could improve perceptions of the G20 as well as add a counterpoint to current ‘failure’ narratives about the forum. The G20 does not communicate well to external actors outside limited economic and finance circles, even when it has significant achievements to communicate. For example, the G20 made progress this year in dealing with corporate tax evasion, but failed to make explicit to developing countries or citizens of G20 countries how the new agenda might benefit them. The leaders’ summit focused on Syria and the communiqué failed to hold the attention of the international media. The London summit mobilised huge resources to combat the global financial crisis, but most ordinary citizens will only associate the meeting with violent protest. Scholars should be systematically examining G20 outreach, and building hypotheses about the impact of improved strategies on the effectiveness and responsiveness of a new global governance actor. The quality and substance of the outreach of each host/troika combination has not yet been analysed in a rigorous manner, in order to design effective strategies. Note that outreach strategies will be different when the G20 is operating in crisis mode as opposed to steering committee mode. Most outreach activities have focused on nation branding by the host, rather than selling the G20 as an actor. Would investing in a troika outreach strategy improve the G20 brand, rather than having the host simply promoting their nation brand (or the BRICS)? Should foreign ministries assume responsibility for outreach, rather than finance officials? Does it matter which government department is responsible for outreach? Should foreign ministers be more involved? Should the G20 focus its invitations on regional representatives who may or may not be able to use the opportunity to the fullest? Alternatively, should it choose invitees based on economic importance or relevance to the chosen summit priorities? How transparent should G20 meetings be? Should the G20 invest in one central website, hosted by the IMF, for example? The current G20 troika (Russia, Australia, Turkey) should produce a comprehensive outreach strategy, building on the current Russian outreach strategy, to consolidate messages and target engagement around priority issues for Brisbane (for example, the Alliance of Small Island States (AOSIS), the Pacific Islands Forum (PIF) and the Small Island Developing States (SIDS) on climate change, LDCs on corporate tax evasion). This strategy should have a sophisticated e-diplomacy component and focus on leaders. It should be led by foreign ministries. Strategies should be evaluated by external bodies and an Outreach Index created. The G20 should have different outreach strategies for when it is operating in crisis mode from when it is in steering committee mode. When in steering committee mode, the troika should communicate agenda priorities earlier, and with more impact. The troika should use public diplomacy strategies, especially around those issues with wider public appeal and less technical detail, such as the development agenda, jobs and employment, corporate tax evasion and financial stability. In crisis mode, the G20 should focus on messages about how and why it is handling the crisis (for example, Syria discussions in Saint Petersburg). It is important to analyse the G20 as a global governance actor through a political and diplomatic lens, as a complement to the technical focus on the G20 agenda which dominates most policy papers. As Ramesh Thakur has noted in relation to the UN, the G20 could be both a site of global governance and an actor in its own right. Outreach by the G20 about its achievements, ability to manage crises and sell its ‘coordinated growth’ message to various segments of influence may be critical to the G20’s ability to survive and thrive as the ‘premier forum of international economic cooperation’. This is a slightly shortened version of: Susan Harris-Rimmer, “The G20 and Its Outreach: New Measures of Accountability, Legitimacy and Success,” in Think 20 Paper 2014 – Policy Recommendations for the Brisbane G20 Summit, ed. Mike Callaghan and Hugh Jorgensen, Lowy Institute for International Policy, 2013. David Yanofsky, “For the First Time, the Combined GDP of Poor Nations Is Greater Than the Rich Ones,” Quartz, 28 August 2013 (using IMF data). Anne-Marie Slaughter, A New World Order (Princeton: Princeton University Press, 2004). Russian G20 presidency, Outreach Strategy of the Russian Presidency, 2012: www.g20.org/docs/g20_russia/outreach_strategy.html. Hugo Dobson, The Group of 7/8 (London: Routledge, 2007). Ian Bremmer, Every Nation For Itself: Winners and Losers in a G-Zero World (New York: Portfolio Penguin Group, 2012). Barry Carin and David Shorr, The G20 as a Lever for Progress, CIGI G20 Papers 7, 2013. Andrew F. Cooper and Ramesh Thakur, The Group of Twenty (G20) (London and New York: Routledge Global Institutions Series, Routledge, 2013). Steven Slaughter, Debating the International Legitimacy of the G20: Global Policymaking and Contemporary International Society, Global Policy 4 (2013). This article focuses on the G20’s relationship with non-member countries and the relevant outreach mechanisms. David Skilling, The G20: A Small Advanced Economy Perspective, G20 Monitor, G20 Studies Centre, Lowy Institute for International Policy, December 2012. Ramesh Thakur, “Multilateral Diplomacy and the United Nations: Global Governance Venue or Actor?” in The New Dynamics of Multilateralism: Diplomacy, International Organizations, and Global Governance, ed. James Muldoon Jr, JoAnn Fagot Aviel, Richard Reitano and Earl Sullivan (Boulder: Westview Press, 2010). Despite the achievements of the G20 since its creation in 1999, especially in promoting global economic stability and growth, the extent to which its actions have supported Africa’s development is still a matter of debate both in terms of the G20's core action and in terms of its development agenda. This paper examines the G20’s relevance to and impact on African economies and where the G20 can add value going forward. Africa’s engagement in the G20 processes and partnership with the G20 does not diverge from the continent’s development objectives. Hence the key questions that come to mind are the following: To what extent do the G20 actions assist Africa in grasping the opportunity presented by the changing global economic environment and deal with the critical development challenges facing the continent? To what extent does the G20's core and development-related actions enable the continent to increase trade and diversify its merchandise goods? In short, how does Africa benefit from the G20 in achieving economic transformation and overall social and economic development and how can the G20 add value in this regard? Effectively answering these questions requires a deeper analysis, which is not possible in this short paper. The paper focuses on Africa’s main preoccupations with the G20’s structure and legitimacy, representation and substance. Specifically, the paper focuses on Africa’s concern with voice and representation in the G20, focus and approach of the G20, and implementation of G20 commitments. Outreach and consultation: Starting from the 2010 Seoul Summit, the G20 has attempted to establish a more robust outreach program prior to its summits. Increased participation of Africa's regional apex organisations – the African Union Commission and the NEPAD Planning and Coordinating Agency. Engagement of Africa-based organisations and African individuals in preparatory meetings. Creation of task forces (such as infrastructure) and the Development Working Group. Involvement of Africans and Africa-focused entities in the work of non-G20 bodies that provide input into the G20 processes as well as the involvement of African private sector and civil society. Notwithstanding these important steps, several challenges still remain which keep the issues of inadequate representation at the centre of Africa’s concerns with the G20. First, the outreach program remains an informal arrangement left to the G20 summit host country and as a result it has been uneven depending on the country hosting the summit. Second, the African Union and NEPAD are not fully fledged members of the G20 at least not in the same way as the European Union, which reduces the effectiveness of representation. The continued existence of the current arrangement has other implications as well. First is that South Africa, which is a full member of the G20 in its own right, often sees itself representing both its national and continental interest which is not often the case for other members. Likewise, the uncertainty and inconsistency of Africa’s representation create challenges of proper organisation on the part of Africa to ensure effective representation. Related to this are the issues of the high level of turnover among the African representatives, which creates some challenges with sustainability of action. With the exception of representatives of the AU Commission and the NEPAD Agency, the people representing Africa at the G20 summits change every year, which is not the case with the G20 membership at large. Although there may be improvements in representation, the effectiveness of representation is questionable as preparation for the G20 meetings is increasingly done on an ad hoc basis and monitoring effectiveness becomes difficult. Another area of concern is Africa's underrepresentation in G20-related organs such as the Financial Stability Board (FSB), whose decisions have far-reaching consequences for African countries. For instance, in strengthening financial supervision and regulation, the policy process leading to Basel II and Basel III has largely excluded inputs from developing countries in general and Africa in particular. It is important that Africa’s voice be heard in the finalisation of the modalities for implementing the Basel III capital framework and other prudential regulations. It is important that Africa’s representation on the Financial Stability Board is reviewed. At the very least, the Association of African Central Banks (AACB) or some other representation for central banks in Africa should also be part of the process. Africa’s concern here is that through the focus and organisation of its agenda, the G20 does not always see Africa as part and parcel of the solution to global economic problems. This is often illustrated in terms of the treatment of development as an issue that is separate from the core focus of the G20 and even when development issues are integrated into the G20 agenda, as it was the case in the 2010 Seoul Summit, the effort is not sustained. There is also the issue of the inconsistency in incorporating Africa’s concerns fully into the agenda, which is related to Africa’s underrepresentation in the G20 processes, especially at the G20 sherpas level. The growth slowdown in the global economy, including in many of the G20 countries, raises some implications for how the G20 should see Africa and the prospects for an Africa-G20 cooperation that is beneficial to the world in the medium to long term. African countries believe the G20 should see Africa's economic development as an important tool in their quest to reignite global economic growth and create jobs. Since 2003, many African countries have attained high economic growth rates, and in some cases, managed to sustain relatively high rates throughout the global economic, financial and Eurozone crises. The growth resurgence has seen manufacturing, modern financial and telecommunications services and tourism beginning to make significant contributions to growth. This has transformed Africa from the world’s slowest growing region of the past to one of the world’s fastest growing regions. African countries, therefore, believe both Africa and the rest of the world should see Africa as part of the solution to the global economic crisis and invest in the continent for mutual benefit. Indeed, the emerging consensus is that the world needs a new driver of consumer demand, a new market and a new dynamo, which can be Africa. The G20 development agenda is somewhat disconnected from the G20’s central concerns – which are focused on the economies of the G20. However, the Development Working Group (DWG) was established at the Toronto Summit in June 2010 and charged with devising a development agenda. At the Seoul Summit in November 2010, G20 leaders agreed a nine-pillar, Multi-Year Action Plan (MYAP) on development. The consequence of this separation, however, is that issues on the development agenda do not necessarily have prominence in the G20 leaders’ declarations at the end of each summit and, as such, the G20 development agenda has been described as an add-on and criticised as often peripheral. Although one could argue that the pillars of the MYAP are relevant to economic transformation – the major preoccupation of governments in Africa – they do not necessarily represent a strong and direct focus on economic development in line with current African priorities and Africa’s demands regarding the kind of engagement they would like to see from the G20. For Africa, the key issue is attaining structural transformation through the strengthening of productive capacity, increasing productivity, value addition and accelerated industrialisation. Another issue is domestic resource mobilisation along with stemming the hundreds of billions of dollars in illicit financial outflows from Africa, which the G20 Leaders’ Declaration of September 2013 touches upon, especially in relation to the OECD’s work on base erosion and profit sharing (BEPS), in which it endorses transparency and information exchange. The Declaration outlines the G20 commitment in terms of capacity building support in the context of information exchange and in the area of tax administration generally. It directs the DWG to develop a roadmap showing how developing countries can overcome obstacles to participation in the emerging new standard in automatic exchange of information, and requests the DWG to report back at the next summit. As well-intentioned as these may be, these commitments often do not reflect the reality of African countries and the specific challenges they face, which complicates implementation. Notably, of interest to Africa is the G20's renewed commitment to addressing issues related to the international financial architecture, including reaffirming commitment to a distribution formula that better reflects the relative weights of IMF members in the world economy and the need to protect the voice and representation of the IMF poorest members. Likewise, this is the case for the G20’s commitments on the issue of debt sustainability and increased resources to IFIs. Africa's main concern with the issue of implementation is the belief in Africa that the G20 is good in making commitments but may not have been so good in implementing them. This goes along with the belief that the G20 has not been able to make and implement really bold commitments on development, especially judging from the content and language of the leaders’ statements. Likewise, there is a perceived lack of impact on the ground and on the lives of ordinary Africans. The Seoul MYAP, which expired in 2013, was assessed at the Saint Petersburg Summit in September 2013. Of the 67 commitments of the MYAP, 33 were assessed as complete, 33 as ongoing and 1 as stalled. The assessment highlighted three key areas of success for the DWG – bringing forward catalytic policy action (particularly among G20 members), establishing credible outreach to non-member countries, and fostering strong partnership with international organisations – notably regarding the Agricultural Market Information System (AMIS), Social Protection Inter-Agency Cooperation Board (SPIAC-B), the Global Partnership for Financial Inclusion (GPFI) and the High-Level Panel for Infrastructure Investment (HLP). The assessment report identified important lessons learnt and went further to say that the DWG would in future foster growth on a sustainable basis by strengthening the relationship between economic growth, social inclusion and environmental protection. It also suggested that the G20 could further add value in delivering tangible development outcomes through high-level political leadership and a more coherent, results-driven and long-term approach. The lessons learnt identified by the assessment appear to acknowledge criticisms that the MYAP was an ambitious and extensive framework that was too broad. The nine pillars have been criticised as being disconnected, with the potential to generate unstructured and unproductive discussions. On the other hand, the MYAP has also been praised for its achievements on reforms and increased resources for international financial institutions, the work of the High-Level Panel on Infrastructure Investment, progress in enhancing food security, and work on reducing the cost of remittances, as well as for the creation of AgResults initiative. African countries have responded to the imperatives of the G20 by establishing mechanisms and processes to improve the effectiveness of their engagement. The first is the establishment of the C10, the committee of ten ministers of finance and central bank governors, in the wake of the global financial crisis. The C10 meets periodically to discuss G20-related issues, among other things. The second is the use of technical support and advisory services – albeit in non-systematic ways, from such organs as the Economic Commission for Africa (ECA) and the African Development Bank (AfDB). Notwithstanding these good efforts, the capacity for effective engagement that can benefit Africa and the global economy is still a major challenge. African countries must have effective mechanisms for coordinating among themselves. It is particularly important to encourage and support the participation of new actors and new processes in cooperation arrangements among countries. The continent’s regional and sub-regional organisations need to systematically build up their coordination capacities. Related to the capacity to coordinate, African countries also need to build negotiation capacity to be effective in the G20 processes. African countries ought to be able to adopt a similar strategy of integrating trade, financing and development considerations in their approach to the G20. Finally, African countries must ensure that they have the analytical capacity to monitor the financial and trade flows, and the capacity to monitor the implementation and impact of G20 programmes and projects as well as the effectiveness of their engagement in the G20 processes. Supporting Africa’s efforts in building these capacities through the regional and sub-regional organisations – AUC, NEPAD, RECs and the African Capacity Building Foundation (ACBF) for instance – are areas in which the G20 can add value. It would be useful for an Africa–wide mechanism to monitor progress in implementing the commitments. The continental and regional organisations of Africa are best placed to lead on this. The G20 can add value first and foremost by addressing Africa’s main concerns and challenges outlined in the preceding sections of this paper. Thereafter, it can add value by paying attention to the development priorities of the continent. The Australian presidency of the G20 is expected to carry through the Saint Petersburg Development Outlook, which seeks to provide opportunity for all and complement existing efforts on the international development agenda. That infrastructure remains among the core priorities of the Development Outlook is cause for optimism for Africa, but the planned G20 actions on this core priority remain, for the moment, mainly at the level of undertaking studies and implementing the commitments made by the multilateral development banks. The Infrastructure Action Plan tends to be open-ended and not quantifiable or measurable. Unfortunately and as a consequence, Africa’s response to the G20 development agenda also risks being a diffuse shopping list of demands that lacks a coherent narrative. There is, therefore, the concern that G20 interventions – albeit well-intended – may mirror and reinforce the current perceived donor preoccupation with merit goods and an over-emphasis on social rather than economic sectors, which is a real concern in Africa. Africa’s development challenge lies in achieving sustained and broad-based economic growth. The nature of the current strong growth surge raises questions on sustainability and inclusiveness, because it remains vulnerable to external shocks and has not translated into desirable economic and social outcomes. One of the main reasons for this weak performance is the paucity of structural transformation and diversification of output, exports and employment in most African countries. Africa needs to make its growth more resilient to external shocks and to create more jobs, and so must capitalise on its cooperation with the G20 to develop sectors that have large multiplier effects, including manufacturing and agriculture (which, for example, should be linked to industry through agro-processing). Africa has a youth population of almost 200 million (ages 15–24), which is expected to double by 2045 when it will be far better educated than today. But as this vast reservoir of social dynamism needs decent jobs, strategies to be followed include diversifying exports, strengthening inter-sectoral linkages, adopting labour-intensive techniques, boosting private-sector job creation by minimising investment bottlenecks, and ensuring that workers benefit from Africa’s improved terms of trade. Stronger industry lies at the heart of structural transformation, as exemplified by the emerging country members of the G20 and other emerging economies, whose success (often export-driven) frequently had foundations on building human capital and improving access to assets, investing in infrastructure with structural transformation and jobs in mind, and using well-designed social transfer programmes to address poverty and inequality. However, these countries’ very success makes it hard for Africa to follow in their footsteps, partly because this route to industrialisation is now largely barred by a liberalised trade policy. If the G20 wants to add value it must truly support Africa’s efforts to promote economic transformation through industrialisation, economic growth and employment. The pillars of the MYAP are: infrastructure, human resource development, trade, private investment and job creation, food security, growth with resilience, financial inclusion, domestic resource mobilisation, knowledge sharing and inclusive green growth. Inclusive green growth was introduced by the 2012 Mexican Presidency. See: The Korean G20 Presidency. Multi-Year Action Plan on Development, 2010: http://www.g20.utoronto.ca/2010/g20seoul-development.pdf. See for instance Mike Callaghan et al. G20 Monitor - Development and the G20, G20 Studies Centre, Lowy Institute for International Policy, August 2013: http://www.lowyinstitute.org/files/g20_monitor_the_g20_and_development_.pdf. AfDB, OECD, UNDP and ECA, African Economic Outlook 2012: Promoting Youth Employment, 2012. Kazakhstan was one of six countries that the 2013 G20 chair Russia invited to participate as a guest in the Saint Petersburg Leaders’ Summit. Kazakhstan’s participation in the G20 was one of the key highlights of its international activities during 2013. The September summit in Saint Petersburg gave Kazakhstan a floor to raise its voice in the international arena. Kazakhstan’s G20 participation adds to a long list of efforts that the country is undertaking in international governance. In 2010, Kazakhstan chaired the Organization for Security and Cooperation in Europe. In 2011, it was elected to be the Chair of the Organization of Islamic Cooperation and Chair of the Shanghai Cooperation Organisation. Over the last two years, Kazakhstan hosted Tehran and Group 5+1 talks (the five UN Security Council members plus Germany). Currently, the country is in the process of bidding for a non-permanent seat of the UN Security Council. As an invited G20 country, Kazakhstan had a very short period of time to integrate into the process of G20 agenda formulation. The sherpa community’s fellowship and openness were very helpful in this process. To integrate into the G20 process fully and add value, a series of steps were undertaken. First, the G20’s short history needed to be understood. Looking at how this informal summit was formed helped with an understanding of the original mission of the G20 and how it evolved over the last five to six years. Initially, the G20 was established by ministers of finance to address problems inherent in the international financial system. During the last three years, the G20’s agenda expanded drastically. Issues related to the international financial system remained important but other policy areas have entered the agenda. Second, as the host nation introduces the priorities of its presidency, the G20 agenda can have a new focus and direction each year. It is important for invited countries to navigate through multiple priorities and topics of the G20 summits and understand the origins of each commitment and its evolution. For instance, Kazakhstan fully shares the G20’s view that development is a mutual concern both for developed and developing countries. Kazakhstan appreciates how the G20 priorities in this area evolved from overcoming global economic turmoil and establishing the Development Working Group (DWG) in June 2010 at the Toronto Summit to creating opportunities for developing countries which has been the priority at the Cannes Summit in 2011, the Los Cabos Summit in 2012 and the Saint Petersburg Summit in 2013. Third, after working through the previous points, Kazakhstan was able to evaluate how it could contribute most effectively to the G20 agenda. Of the six priorities identified by Russia for its presidency, Kazakhstan decided to focus on the three that are the most relevant to its national and regional interests. Kazakhstan has made concerted policy efforts in recent years to address energy standards, efficiency, and conservation. These include new laws, amendments, and legislative acts on the subject, as well as a prominent place in the 2010-2014 industrial development plan. The country is also taking steps to reduce greenhouse gas emissions. The country has a 2020 Green Economy strategy setting a target to generate 1,040 MW of renewable energy by 2020 and committing to spend at least 1 per cent of GDP annually towards the transition to a green economy. The Kazakh Government also supports international dialogue on the topic, including launching the Green Bridge Partnership Programme (GBPP) that offers opportunities for ‘greening’ the economy with a focus on regional and international technology cooperation and finance. Kazakhstan is also looking forward to the Expo 2017, hosted in Astana, which will have the theme of ‘Future Energy’. The transition to a green economy will depend as much on international cooperation and global enabling conditions as on national policy reform. Restoring the health of the banking system has been a top priority for Kazakhstan since 2009. The government has made several efforts to reduce non-performing loan ratios, but the benefits are yet to be seen. Furthermore, the government has introduced several prudential regulations and plans to adopt elements of Basel III in 2013, while banks report a strengthening in their risk management and lending practices. Kazakhstan is implementing various initiatives to advance international cooperation on macroeconomic issues. One example is the annual Astana Economic Forum (AEF), a dialogue platform to discuss key issues of global economic trends, prospects for development, stability and security, and instruments and methods to strengthen integration processes. Kazakhstan also launched the G-Global platform as a concept to support systemic dialogue for overcoming global crises. The project aims to foster all-inclusive online discussions for finding effective solutions to comprehensive global socio-economic challenges. This year, Kazakhstan held a United Nations Conference in Astana aimed at developing and discussing an anti-crisis action plan as a follow-up to the UN Conference on the World Financial Economic Crisis and its Impact on Development. Despite international crises, and unlike many G20 members, Kazakhstan’s employment situation has been robust for many years. The unemployment rate fell from 12.8 per cent to 5.4 per cent during 2000-2011, and overall employment increased by over 600,000 since 2008. Furthermore, female participation is high (49.3 per cent) and youth unemployment is less than 5 per cent. However, Kazakhstan still faces critical job market challenges, primarily related to the quality of jobs, preparedness and mobility. Kazakhstan significantly benefitted from the materials and discussions on labour activation and migration, especially given the current regional integration processes in Eurasia. Where can the G20 add value? The 2013 Russian Presidency emphasised the implementation of the commitments taken under the leaders’ declarations. This is the first area where the G20 can further improve in the future. Greater transparency and more information on implementation outcomes would benefit the G20 and showcase how political dialogue can lead to concrete results. On the other hand, the declarations have become increasingly complicated and overwhelmingly technical. This introduces a more bureaucratic approach to the leader’s declaration rather than a concise leader-like position. G20 leaders should also talk about shared opinions on important global issues. G20 leadership should not only be about commitments; it also should establish and consolidate common values and become the source of inspiration. Second, considering the fragile state of world finances, the G20 needs to stay loyal to its initial mission – addressing risks in the international financial system. The value added by top-level dialogue at the G20 was obvious during the recent financial crisis and its aftermath. Of course, issues of energy, development and labour are no less important. But the creation of a stable and sound world financial architecture and the elimination of imbalances are the prerequisites for future growth. As a non-G20 member, Kazakhstan supports the position that the G20 should not monopolise the international discussion on issues such as development, debt sustainability, labour and taxation policy. The exclusivity of the G20’s informal club should be diversified by inviting other nations. Moreover, the role of the United Nations remains paramount for global governance. Kazakhstan thanks the Russian Federation for the opportunity to be part of the G20 in 2013. It provided an opportunity to witness the tremendous volume of work that is hidden behind the G20 Leaders’ Declaration. Kazakhstan wishes Australia fruitful work and great results for its presidency in 2014. Kazakh government, Presidential Decree #577, 30 May 2013: http://www.adilet.zan.kz/rus/docs/U1300000577. Kazakh National Statistics Agency, October 2013: www.stat.gov.kz. In a few years, the G20 has established itself as the premier global economics forum. Yet it has achieved very little. It may have facilitated responses to the global financial crisis – better known as the North Atlantic financial crisis which had global implications paralleling the Asian crisis of 10 years earlier – and it has discussed longer-term preventive measures. But we continue to puzzle over how the former should be unwound, and the current agenda is still to avoid foolish interventions in the financial sector. A major difficulty in assessing the achievements and potential of the G20 is establishing an appropriate criterion. Many commentators and even international relations specialists treat international institutions as national governments on a grander scale. National governments vary a great deal, but they have at least a credible claim to a monopoly on the use of lawful coercion within their territories. With a partial exception in the UN Security Council, international agencies are different. They do not have an ability to legislate, and they have no police forces or judicial systems. Their influence depends on maintaining the wish of their constituent parties to remain part of the organisation. The standing of the G20 derives from comparison with its predecessor, the G7/G8. (The exact standing of Russia, a member of the G8 but not the G7, was always ambiguous.) The G20 consists of the 20 largest economies in the world, more or less, with some adjustments such as invitations to especially close allies of the chair for the time being of the G20, the chair and secretary-general of ASEAN, and the chair of a regional organisation in the area in which the G20 is meeting. The gain in legitimacy flows simply from the way that, unlike the G7/G8, the G20 includes major economies which have grown in size and significance since the middle of the twentieth century. The limitations of its legitimacy are that it is self-appointed and has no claim on allegiance from non-members, and it has no ability to enforce collective decisions on dissident members. So what should we expect from such an organisation? We can learn from the history of APEC. It generated some quick wit along the lines of adjectives searching for a noun and talk but no action, but it has profoundly changed attitudes among all of political leaders, officials and informed commentators about the value of economic cooperation. It was a network before networks and hierarchies were widely distinguished as available forms of institution. Individual economies remain paramount. APEC does not take much action and therefore any attempts to measure its contribution separate from the actions of individual members return small results but are fundamentally misconceived. (The same is true of the WTO.) APEC was well characterised, originally by Bobby Romulo, as akin to Alcoholics Anonymous, an organisation whose members know perfectly well what they should do to further their own welfare, they know equally well that the important decisions and actions lie with themselves, but gain confidence and mutual assurance by periodically coming together and sharing experiences. Media interest in APEC focuses on the annual Economic Leaders’ Meeting (ELM). The achievements of APEC mostly come from an array of working groups and taskforces which encourage inclusion of regional interests in national policy decisions. The ELM has essentially two functions. It is an opportunity for leaders to talk about whatever they are interested in; the economic significance of this is usually less in the economic substance of what leaders are interested in than in creating personal chemistry which promotes collaboration rather than conflict. Secondly, the scheduling of the ELM imposes a deadline for the taskforces and working groups which seek to progress significant issues in economic integration. It is therefore not surprising that the G20 meetings are dominated by the business of the day. No observer from New Zealand, remembering how the APEC ELM held in Auckland in 1999 was dominated by Timor rather than any of the official agenda, was surprised that the Saint Petersburg G20 meeting was dominated by Syria. Prevention of taxation avoidance or issues arising in emerging markets, the purported top agenda items, were submerged. The same is likely to happen to the agenda for Brisbane. Any gathering of heads of government will be dominated by what is at the top of their interest. That will not often be economic. A succession of global financial or economic crises is not to be desired. The G20 will be the premier global economic forum in anything other than a symbolic or representational way only if it develops a programme of work which can be endorsed and kept to schedule at the G20 meetings, but which takes place elsewhere. In a world of networks, it should surely take the form of coordinated work done in a variety of existing places. It will use organisations like APEC, other regional economic organisations, the international financial institutions, regional development banks, the WTO, the World Customs Union, the World Intellectual Property Organization, and all the other organisations which have a stake in the modern agenda of economic integration. Any attempt to supervise the work of the myriad of elements of the network of global economic governance would be doomed to futility. The effectiveness of the G20 would be determined by its ability to identify those elements of the international agenda which require co-ordination at the highest level, remembering that they would be accompanied (or displaced) by much discussion and even more commentary on whatever interests leaders from time to time. It is easier to define what the G20 would not be than what it would be. It would not be an aggregation of the wish-lists of any interest group which could claim that its concern crossed national boundaries, no matter how much the interest group succeeded in claiming the high moral ground of talking for humanity or future generations as yet unborn. So the poverty lobby, or environmentalists in general, or climate change advocates, or anti-whaling advocates, or any similar organisation would not have an automatic claim to a place on the G20 agenda. Merely packaging their advocacy as promotion of ‘public goods’ would not change that. We get some more positive guidance by looking at the array of organisations already involved in global economic governance and asking where coordination is most obviously required. We would probably start by noticing the division between the concern of the WTO with trade and the real economy, and the concern of international financial institutions with monetary affairs. That reflects the international economy which existed in the middle of the twentieth century. It does not respond to the current situation where the importance of international investment flows and international services trade crosses the traditional divide of real and monetary affairs. The agenda of the G20 should include familiarising leaders (and commentators) with the new knowledge needed to deal with the interdependence of real and monetary affairs in the modern international economy. A specific (and less abstract if not more concrete) component of that would be enabling the G20 to endorse a conception of economic integration that brings together real and monetary aspects. On the one hand, it would reject conceptions of ‘currency manipulation’ which implicitly assume the world of fixed exchange rates still exists so that exchange rates affect relative prices of exports without any impact on investment flows. On the other hand, it would reject conceptions of diverting Asian savings to infrastructure projects in Asia without considering the implications this would have for trade flows between Asia and other regions. A G20 mandate for development by collaboration among lead economic strategy agencies and mechanisms within the 20 members would remove a lot of noise from the international debate and be the basis for developing understanding and knowledge where it matters. Incidental benefits would include greater understanding of the potential contribution of public private partnerships (PPPs) in international infrastructure projects. Drawing on private funds is mostly a mirage – it matters to the timing of public expenditure more than its total – whereas successful PPPs depend on mobilising skills and competencies available in the private sector and not in present public sectors. This is well known to institutions like the development banks but to few others. Bringing current knowledge to bear on the boundary between public and private activity, in a way which comprehends and understands the different histories and practices of individual economies, could have widespread benefits. It would also displace the misleading apparent simplicity of talk of ‘imbalances’ in the international economy. An ‘imbalance’ has to be identified as a discrepancy between a current outcome and a state of affairs desired by participants – a disequilibrium – and not only a set of positive and negative balances. A world without imbalances in a simple sense would be a world without trade and therefore a world with living standards far below what they could be. As well as dealing with the inappropriate separation of real and monetary, the G20 could stimulate new approaches to the width of the modern agenda of economic integration. For example, it could seek common understanding of the role and location of innovation, and insist that issues of intellectual property should be conceived in terms of making best use of innovation to promote global living standards rather than protecting the property of present holders of patents and copyright. The World Intellectual Property Organization needs to be brought into the understanding of the WTO so that innovation is no longer held to ransom by trade lawyers and negotiators who think their job is to protect their nationals. Similarly, the agenda of trade facilitation would benefit from the cooperative approach of the World Customs Organization relative to the bargaining approach of trade negotiators. This recommendation amounts to proposing that the G20 focuses on mobilising existing institutions into an effective network for applying contemporary knowledge rather than inherited prejudices to an international economy where trading concessional access to national markets is replaced by devising an appropriate governance framework for modern transnational production networks. At the same time, the G20 could stimulate thought and policy responses to making international institutions fit for purpose in the twenty-first century rather than perpetuations of the postwar settlement of the mid-twentieth century. Reforming the UN Security Council might be beyond the ambit of the G20 but it could address management and governance of the IMF beyond the present timid recommendation that 6% of quota be transferred to large emerging markets. The World Bank would follow. The G20 should not be judged as though it were a large national government. We should not focus on specific actions. Meetings of G20 leaders should be occasions where we assess the effectiveness of network relations among international organisations as they seek to address the issues of the contemporary world, especially economic integration in its widest sense. Comment made at an APEC meeting in Auckland, as remembered by the author. Pradumna B. Rana, Reforming the Global Financial Architecture: Is the World a Safer Place?, RSIS Commentary No 196/2013, 2013. Pradumna B. Rana, “Five Years After the Global Crisis, the World is No Safer”, East Asia Forum, 2013. Sourabh Gupta, “The Gravity Shift and Its Discontents”, East Asia Forum, 2013. What can the G20 do for the Pacific? As Robin Davies noted in the July G20 Monitor, the G20 has no establishing treaty, no formal mandate, and no ability to bind its members. So what has this ‘talkfest’ done for the Pacific island countries and what could it do for these economies? Specifically, what can the G20 do that the international financial institutions, other major international agencies, and bilateral donors cannot do – given that its membership comprises essentially all of the countries funding the major international organisations and all of the major bilateral donors? A more general question – not discussed here but well worth asking – is whether the opportunity cost of their involvement in the G20 and its seemingly ever-expanding agenda is far too high for leaders, ministers of finance, central bank governors, and all their staff? Cutting through all of the so-called G20 Development Agenda items arising from the various G20 meetings, its main substantive actions appear to be two: achieving international agreement on innovative national actions that should benefit developing countries, such as lowering the cost of transmitting remittances, and acting as a ‘cheer squad’ encouraging developing countries to take actions that will benefit them. On the second point, for instance, it is well known, particularly from the many studies that have been undertaken on the costs of trade protection, that developing countries would receive much greater benefit from reducing their own barriers against imports than they would receive from developed countries eliminating the remaining barriers against developing country exports. With ‘star’ performers such as Korea as members, the G20 can rightly act as a role model for developing countries that have failed to achieve ‘catch-up’ growth mainly through resistance to reform. These may be two useful action areas for the Development Agenda of the G20. So where in particular could the G20 act in the interests of the Pacific island countries? The two issues uppermost in the minds of most Pacific island governments are the threats from climate change and increased possibilities for migration and remittances. The Pacific island countries rightly claim that they have made little contribution to global warming, while the costs of mitigation of, and adaptation to, the threats to their arable lands, fresh water sources, reefs, and coastal and deep-water marine life are out of proportion to the size of their economies. Therefore, they claim substantial financial assistance in coping with these threats. As well, they argue, with justification, for collective action on the part of the significant polluters to reduce the threats. Given the significance of the climate change threats to the Pacific island countries, especially the low-lying coral and atoll islands, action by nations, including G20 nations, on both these fronts seems to be a high priority. There are, of course, many mitigation and adaptation activities underway on the part of the international financial agencies and bilateral donors. The G20 could act to see that these activities are coordinated and that any gaps are filled. However, the United Nations Framework Convention on Climate Change (UNFCCC) appears to be the more relevant body to carry out these tasks. Increased opportunities for migration and remittances offer the major source for economic growth and improved welfare in many of the Pacific island economies. Most are in the early stages of the demographic transition toward slow population growth and are therefore still experiencing high population growth rates. Accompanying this high population growth is a ‘youth bulge’. Unfortunately, unlike the East Asian countries, the Pacific island economies have not generated the high investment and jobs growth that would allow them to provide the necessary jobs to achieve a ‘demographic dividend’. The Pacific countries are just not built for rapid growth in employment opportunities due to the many structural constraints on private sector development. Therefore, employment in other countries offers the only means in the short to medium term to cope with the youth bulge. Towards this end, the G20’s focus on strong growth in their own economies is likely to be the best means of promoting opportunities for migration and remittances for developing countries. Migration and the opportunity to send remittances can alleviate the lack of domestic employment opportunities as well as over the long term help to create the conditions for improved private sector development and local employment. This approach to development policy is called ‘Migration for Development’. Fortunately, the benefits of Migration for Development are being recognised internationally. The UN Global Forum on Migration and Development, held on 3-4 October 2013, took a much more positive approach than previously to international migration and the role that it can play in improving the welfare of people in developing countries. This Second High-level Dialogue agreed on a call to have migration reflected in the post-2015 development agenda. So, again, there exists a body that can tackle this issue rather than the G20 attempting to be involved. The G20’s setting of a target of 5 per cent for the cost of transmitting remittances is a positive move, although pushing for national action to achieve progress in this area would have been even more positive. However, individual countries have been taking steps to reduce the costs. While it is desirable, and indeed in their self-interest, for (advanced) G20 countries to be more open to labour mobility, there is much that developing countries themselves can do in order to reap the potential benefits from remittances. Studies around the world have shown that remittances are mostly used in a positive way to improve diets, and to invest in children’s education and improve housing, but that there is generally little devoted to investment in new businesses. This lack of business investment appears to be due to the fact that setting up small businesses is so difficult in many countries. Hence, improvements are needed in the investment environment such as the removal of unhelpful business regulations and other transactions costs. Such improvements in the opportunities for business development would, over the longer term, improve the scope for domestic employment. Moreover, the experience that migrants gain from working in countries where government services work well and governance is generally good provides a learning experience that they can take back to their home countries. Another area where a push from the G20 may be helpful is in discouraging its members from subsidising bio-fuel production. These subsidies were influential in the sharp food price increases in 2007-08 that had a very adverse impact on Pacific island countries. Toward this same goal, the G20 could encourage developing-country food producers not to use export bans in attempts to moderate price increases. Such actions were another important contributor to the 2007-08 food price increases. The G20’s actions on these issues could be largely in the form of education and being a role model to other members and non-members. These are activities in which the international financial institutions may not be as effective as the G20. Finally, if the Pacific island countries are to take advantage of the opportunities offered by what has been dubbed the ‘Asian Century’, they must become part of global supply chains when the demand develops for whatever goods or services they can provide to external markets. In order to join supply chains they will have to follow the East Asian economies and remove border and behind-the-border obstacles to the development of efficient chains. But here again we have global, regional, and intra-regional bodies that are concerned with helping Pacific countries to open markets and integrate more fully with international markets. Whatever the G20 can do to energise the Doha Round of global trade negotiations and to promote growth in its own member economies will be helpful to the world economy. But for the Pacific the main problem is their constrained supply response to growing international markets rather than market access. In conclusion, therefore, it is difficult to think of areas where the G20 could take action to benefit the Pacific where existing organisations are not already established for that particular purpose. For example, an area of major concern of the Pacific island countries is the adverse impact of climate change. However, the UNFCCC is the body where that issue should be thrashed out. Opportunities for overseas employment for their large youth cohorts is another area of concern, due in large part to the fact that these countries are not in a position to generate large numbers of jobs. The best that the G20 countries could do in this case would be to foster good growth in their own economies in order to provide opportunities for overseas workers. Robin Davis, What Plot? – Rationalising the G20’s Development Agenda, in G20 Monitor, ed. Mike Callaghan et al., The Lowy Institute for International Policy, August 2013: http://www.lowyinstitute.org/files/g20_monitor_the_g20_and_development_.pdf. Graeme Hugo, “Best practice in temporary labour migration for development: a perspective from Asia and the Pacific.” International Migration, 47 (2009). See, for example, Dilip Ratha, Sanket Mohapatra and Elina Scheja, Impact of Migration on Economic and Social Development: A Review of Evidence and Emerging Issues, Policy Research Working Paper 5558, World Bank, 2011. Ralph Chami and Connel Fullenkamp, “Beyond the Household,” Finance and Development, 50 (2013). This paper identifies the core Swiss interests and Switzerland’s contribution to global economic governance, with particular reference to the G20, and addresses the channels through which these interests are pursued, for example through the Global Governance Group (3G) and other institutions. The multi-stakeholder process of Switzerland’s financial policy sector involves four main bodies: the Swiss National Bank, the Federal Department of Foreign Affairs (FDFA), the Federal Department of Finance (FDF), and the Federal Department of Economic Affairs (FDEA). Each of the three ministries has a division or a secretary that leads the consultative process vis-à-vis certain international organisations. In the FDFA, the United Nations and International Organisations Division coordinates and implements the Swiss policy on the United Nations (UN), its specialised agencies and other international organisations. The State Secretariat for International Financial Matters (SIF) at the FDF is responsible for the Swiss relations with the IMF and the State Secretariat for Economic Affairs (SECO) of the FDAE is responsible for the Swiss relations with the OECD. Matters pertaining to Switzerland´s relations with the G20 group are coordinated through an inter-ministerial working group called the Inter-Departmental Working Group G20 (IDAG20). IDAG20 is a working group composed of SECO (FDEA), the State Secretariat of International Financial Matters (SIF) of FDF, the Directorate of Political Affairs of FDFA and the Swiss National Bank. They meet four to five times a year. There is no formal document regulating this inter-ministerial and inter-institutional coordination process. The IDAG20 is coordinated by two federal offices, namely SECO and SIF. Both offices alternate in chairing the IDAG20 from one G20 presidency to the next. Other actors are also informed as required and there are sectoral consultations on trade, finance, labour and the fight against corruption. Figure 2: Switzerland´s consultative process: Inter-Departmental Working Group G20 (IDAG20). the media and political parties. These different actors are consulted by government authorities in order to base financial policy on broad political support. Figure 3: IDAG 20 and different actors involved in shaping Switzerland’s financial policy and economic diplomacy. A ‘variable geometry’ approach allowing non-G20 States to participate in Ministerial gatherings and other working groups involving senior officials/experts on issues of specific concern to them’. Decisions relating to the governance, strategies, management and financing of International Organisations should be made in the respective governing bodies of the International Organisations in question’. Switzerland holds the view that cooperating with the G20 is the best way of defending its economic and financial interests in key areas. The Federal Council adopted in this sense, in early 2010, a strategy based on two pillars: first, a proactive strategy to influence positions central to the agenda of the G20, and second, a preventive strategy to strengthen the Swiss position in international organisations that are often mandated by the G20 to prepare studies and policy recommendations. Strengthening competitiveness is a horizontal responsibility that fundamentally affects all areas of policy and that is important far beyond financial market policy. Barriers to market access can be eliminated in a targeted manner with liberalisation agreements. Additionally, already existing market access can be secured under international law. Crisis resistance of banks is improved in three ways: more equity capital, more liquidity (potentially with a progressive structure) and better risk diversification. Switzerland continues to participate intensively in numerous peer review processes of the Financial Stability Board, the Global Forum, the Financial Action Task Force on Money Laundering, and other international bodies. Since Switzerland‘s adoption of the OECD standard on administrative assistance in cases of tax evasion in March 2009, the country has negotiated double taxation agreements with twenty-five states in which the new standard has been incorporated on a bilateral basis. The new financial market policy seeks ‘to create a good framework for the high-added-value financial sector, to ensure a high level of systemic stability and performance, to preserve the integrity and reputation of the Swiss financial centre, and to enable suppliers in the Swiss financial centre to continue to offer high-quality services for the national economy’. This new fiscal policy reflects the Swiss core interests in regard to economic and financial issues. concentrated on two core business sectors: retail and corporate banking in the Swiss domestic market and international asset management provided in and from Switzerland. Furthermore, Switzerland – unlike competing financial centres – coped very well with the financial crisis. The government aid given to one bank has already been paid back together with a profit for the treasury. The very low level of government debt compared with other countries offers excellent growth opportunities. In this context, the most relevant topics supported by Switzerland at the G20 are the reform of the international monetary system, the strengthening of financial regulation and measures addressing the volatility of commodity prices, development, employment, corruption and governance issues. Switzerland participated in preparatory meetings held by the G20 and contributed actively to international organisations entrusted with implementation tasks by the G20. As will be discussed below, Switzerland uses the 3G as an institutional channel in order to support the promotion of its core interests in regard to global economic governance. The main proposition of the 3G is the request for transparency of the G20. The governance relationship between the G20 and international organisations, such as the OECD, is a central concern for Switzerland. Indeed, the mandates given by the G20 have a strong impact on the priorities of international organisations. For instance, the volatility of commodity prices has become a priority for the OECD, FAO and IMF. A crucial setting for the promotion of Swiss financial policy interests is the International Monetary Fund (IMF). Switzerland leads a constituency which currently includes Azerbaijan, Kazakhstan, Kyrgyzstan, Poland, Serbia, Tajikistan and Turkmenistan. This constituency will have an overall voting share of 2.77 per cent following the entry into force of the new quota and governance reforms. Switzerland’s share will fall from 1.45 per cent to 1.21 per cent. The Swiss National Bank organised, jointly with the IMF, a high-level meeting on the International Monetary reforms in May 2011. According to the Swiss Bankers Association 2015 Financial Centre Strategy, at the international level, the Swiss financial centre ‘faces huge challenges. In the wake of the financial crisis and the resulting high levels of government debt experienced by many major countries, the pressure has increased on internationally successful financial centres such as Switzerland to cooperate more closely on tax matters’. One of the landmark decisions of the G20 at the summit in London in April 2009 was to publish a ‘blacklist’ of uncooperative tax jurisdictions developed by the OECD. Switzerland was on this list, resulting in major changes in its fiscal policy. The implementation of protectionist measures adopted by some members of the G20, such as the EU, China, Argentina, India and Indonesia, have also had an impact on Switzerland. In the trade sphere, although Switzerland maintains that it provides total free market access for goods from the poorest countries, according to Alliance Sud, ‘it fails to mention the hidden customs duty on rice, coffee and sugar imports with which it finances its emergency stockpiles’. Another front in which Switzerland had to defend itself relates to banking secrecy and the regulations of offshore financial centres. The country had to face a number of peer reviews at the OECD level, covering tax issues, the integration of migrants and their children into the labour market, health systems and economic policy. For Switzerland with its important financial centre and its strong export industry, a stable international financial and monetary system is of prime importance. Aside from the implementation of a prudent national financial market policy, Switzerland therefore supports the international initiatives to overcome the financial crisis and its consequences. Switzerland contributes to developing standards in the most important international organisations and bodies of the financial sector. This also involves creating an effective framework for international financial market regulation. Switzerland´s prominent financial sector has been criticised, since it is regarded as one of the tax havens hiding about US$21 trillion of offshore assets by the super-rich, as estimated by some NGOs (e.g. Tax Justice Network). According to them, Swiss banks, such as UBS and Credit Suisse, have been helping to hide tax money belonging to developing countries. The Swiss authorities face the criticism that the very ‘existence of the global offshore industry, and the tax-free status of the enormous sums invested by their wealthy clients, is predicated on secrecy: that is what this industry really “supplies” as it competes for, conceals, and manages private capital from all over the planet, from any and all sources, no questions asked’. The fact that banks may not disclose any information about the financial affairs of private individuals to third parties can lead to abuse, endangering the reputation of Switzerland’s position as a financial centre of integrity. According to the Federal Department of Finance (FDF), Switzerland is ‘committed to combating cross-border financial crime. Moreover, it negotiates agreements with various countries. It offers support in the case of justified suspicion of tax fraud’. Other measures implemented in 2009 have to do with the adaptation of the Swiss double taxation agreements in accordance with Article 26 of the OECD Model Convention. Article 26 of the OECD Model Tax Convention provides the most widely accepted legal basis for the bilateral exchange of information for tax purposes. According to the OECD, ‘Article 26 creates an obligation to exchange information that is foreseeably relevant to the correct application of a tax convention as well as for purposes of the administration and enforcement of domestic tax laws of the contracting states. Countries are not at liberty to engage in “fishing expeditions” or to request information that is unlikely to be relevant to the tax affairs of a given taxpayer. In formulating their requests, the requesting state should demonstrate the foreseeable relevance of the requested information. In addition, the requesting state should also have pursued all domestic means to access the requested information except those that would give rise to disproportionate difficulties’. However, according to the Swiss Federal Council, ‘Switzerland rejects the automatic exchange of information’. The strong position held by the Swiss financial centre has benefitted from particularly conducive conditions. However, growing international regulation and standardisation are diminishing the competitive advantage of Switzerland’s traditional strengths as a financial centre. Targeted improvements will thus have to be made to establish ‘new’ competitive strengths. Switzerland will in future adopt more international standards relating to regulation and supervision. This will, however, reduce the leeway for competitive advantage, which constitutes a risk for the Swiss financial sector. Switzerland uses the different channels identified in the previous sections for safeguarding its financial interests. The graph below identifies the initiatives that are implemented and their relation to the different steps of the international policy space. Figure 4: International policy space: Switzerland’s interests in regard to the G20. Source: Own elaboration based on Saner, Raymond & Michalun, Varinia (ed. ), Negotiations Between State Actors and Non-State Actors: Case Analyses From Different Parts of the World, Dordrecht: Republic of Letters, 2010. A successful channel to influence the G20 was the Swiss relationship with the French presidency in 2011. Although Switzerland is not member of the G20, it contributed to the sectoral work being undertaken (for example through the organisation of conferences or workshops – Switzerland organised a workshop on IMF reform in Zurich). Switzerland was invited to attend a number of sectoral meetings, such as one on tourism. In the sectoral domain, Switzerland has also used its influence through international organisations and agreements (bilateral and regional). The 3G is an institutional vehicle for Switzerland. Topics which offer some consensus amongst the members of the group include commerce, anti-bribery and environment. The 3G requested the G20 to invite the UN Secretary General. Singapore was subsequently also invited to G20 meetings as a 3G representative. However, it has been difficult to reach consensus in the 3G in terms of substance because of the heterogeneity of the group. An important element in the Swiss strategy is the fact that Switzerland´s positions vis-à-vis the 3G and the G20 are complementary. Since the 3G is less focused on substance because its members are not ‘like-minded’ countries, Switzerland uses this group for networking, influencing and alliance-building. On specific issues such as trade or finance, Switzerland pursues other institutional channels and does not have to follow G20 or 3G mechanisms. If there is a trade conflict with a member of the G20, the channels of influence include the Dispute Settlement Process of the WTO or the debates at the OECD Trade Committee. For financial issues, influence can also be exerted through the Global Forum on Transparency and Exchange of Information for Tax Purposes at the OECD. Finally, the relation with other international organisations is also very relevant for channelling Swiss interests. Switzerland uses the OECD to influence the G20. The G20 relies on the OECD to prepare work in specific areas where Switzerland has competence and can contribute by providing substantive inputs. Contributing to such preparatory and analytical work offers excellent opportunities to shape issues and perceptions. In addition, there is the bilateral approach, where links to the presidency of the G20 are very important (at the presidential, ministerial and operational level). Switzerland has been able to navigate the international policy arena, particularly the financial governance system. It was largely able to avoid pressures on its banking system (banking secrecy, tax fraud) by large OECD countries such as the United Kingdom and the United States. At the same time, Switzerland is actively trying to influence the G20, not only in relation to the financial system. Key elements of its success in doing so include its close links to the French presidency, the possibility to participate and organise sectoral meetings and its traditional neutral approach keeping the country out of foreign conflicts but also supporting a position of active solidarity to alleviate the impacts of the financial crisis. Being small and not included in the G20, informal and formal contacts with G20 member countries are very important as well as participation and organisation of preliminary meetings. Being small and not included in the G20 requires the ability to have good informal relations with the G20 presidency. ‘Conference diplomacy’ can be used as a tool in order to influence the G20 agenda and its deliberations. The meetings before the G20 summits are crucial to promote preventive and proactive positions that are important to Switzerland. Banking secrecy and taxation are key factors of Switzerland´s competitive advantage in the financial sector. It has been and remains important for Switzerland to participate in reforming the regulatory system governing the fiscal and financial sectors without losing competitiveness by ensuring adequate participation. Participating and shaping the current and emerging agenda of various international organisations is very important to ensure the safeguarding of national interests. The G20 influences discourse and policy-making in different international organisations, not only the IMF and OECD. Financial, fiscal and economic policies and agreements are often interdependent and linked to issues falling under the governance of other international organisations such as the United Nations Framework Convention on Climate Change (UNFCCC), the International Labour Organization (ILO), the International Maritime Organization (IMO), and the Food and Agriculture Organization (FAO). Actively and pro-actively participating in different international organisations requires successful policy coordination and consultation involving ministries, federal offices and stakeholders. This poses a formidable challenge to governments’ policy coherence, no matter how small or large, developing or developed the country might be. The functioning of effective inter-ministerial coordination mechanisms (both at the national and international level) is crucial in promoting and supporting the interests of a small state like Switzerland in the international economic and financial governance arena. Dominique Jordan, Le G20 et La Suisse: “Un Besoin Réciproque de Dialogue,” La Vie Économique - Revue de Politique Économique, 2011. Swiss Federal Department of Finance Brochures. Economiesuisse, “Des Accords de Libre-échange pour Lutter Contre le Protectionnisme,” Dossier Politique (13, 2012). Riccardo Sansonetti, “La problématique des places financières offshore et la position de la Suisse,” La Vie Économique - Revue de Politique Économique, 2001. Swiss Federal Council. Overview of the Foreign Economic Policy Report, 2011: http://www.news.admin.ch/NSBSubscriber/message/attachments/25340.pdf. Dominique Jordan, “Le G20 et La Suisse: Un Besoin Réciproque de Dialogue”, La Vie Économique - Revue de Politique Économique (2011). Swiss Financial Market Supervisory Authority (FINMA): http://www.finma.ch/e/finma/Pages/Ziele.aspx. Swiss Bankers Association (SBA): http://www.swissbanking.org/en/home/aboutus-link/portrait.htm. This section is based on the document Observations by Switzerland as a Follow-up to General Assembly Resolution 65/94 - The United Nations in Global Governance: http://www.un.org/esa/ffd/economicgovernance/Swiss.pdf. Federal Department of Finance, Strategic Directions for Switzerland’s Financial Market Policy - Report in Response to the Graber Postulate (09.3209), 2009: http://www.efd.admin.ch/dokumentation/zahlen/00578/01622/index.html?lang=en. Federal Department of Finance, Swiss Financial Market Policy, 2010. Swiss Federal Department of Finance: http://www.efd.admin.ch/financialmarket. Economiesuisse, “Des Accords de Libre-échange pour Lutter Contre le Protectionnisme.” Dossier politique (13, 2012). Alliance Sud, “Poor Countries Finance Swiss Emergency Stockpiles,” 2010: http://www.alliancesud.ch/en/policy/trade/swiss-emergency-stockpiles/. Swiss Federal Department of Finance: http://www.efd.admin.ch/themen/wirtschaft_waehrung/02314/index.html?lang=en. Daniela Strube is a Research Fellow with the G20 Studies Centre at the Lowy Institute. Her work focuses on contributing to distinctive perspectives and critical analysis on the role of the G20 in global economic governance, in particular against the background of the Australian G20 presidency in 2014. She completed her PhD in Economics researching how macroeconomic models and analysis can better reflect local economic development conditions. A large part of her research has been conducted as a visiting researcher at the London School of Economics and the Australian National University. She also holds a Master’s degree in Economics from the College of Europe, Belgium, and a Bachelor’s degree in Economics from the University of Maastricht, Netherlands. Her graduate and doctoral studies were sponsored by several awards and scholarships from leading European funding organisations. Daniela has previously worked for the European Commission and the German federal government on issues relating to telecommunications regulation, research policy as well as development cooperation and economic development policy. Dr Susan Harris Rimmer (BA[Hons]/LLB[Hons] UQ (University Medal), SJD ANU) is the Director of Studies at the Asia-Pacific College of Diplomacy, the training hub at the Australian National University. Susan is the author of Gender and Transitional Justice: The Women of Timor Leste (Routledge, 2010) and many refereed works, as well as contributions to the popular press. She was the winner of the Audre Rapoport Prize for Scholarship on the Human Rights of Women for 2006. She was previously the Advocacy Manager at the Australian Council for International Development (ACFID), the peak body for Australian development non-governmental organisations, and is the Co-Chair of the ACFID University Network Committee. Susan has previously worked for the UN High Commissioner for Refugees, the National Council of Churches and the Parliamentary Library. She has been a board member of UN Women National Committee Australia and is a member of the National Committee of the voluntary non-governmental organisation Australian Lawyers for Human Rights, and the Executive Committee of Academics Stand Against Poverty (Australasia). She was awarded Vincent Fairfax Ethics in Leadership Award 2002, chosen as a participant in the 2020 Summit 2008, and awarded the Future Summit Leadership Award 2008 by the Australian Davos Connection. Professor Emmanuel Nnadozie is the Executive Secretary of the African Capacity Building Foundation (ACBF) – Africa’s premier capacity development organisation. Before joining ACBF, he was Chief Economist and Director of the Macroeconomic Policy Division and before that, the Director of the Economic Development and NEPAD Division of the United Nations Economic Commission for Africa (UNECA) which he joined in 2004. Before joining the UNECA, he taught economics from 1989 to 2004 at Truman State University in Kirksville, Missouri. An educator, economist, author and development expert, his work spans over 20 years in the development sector. At the UNECA, he led the production of the well-acclaimed Economic Report on Africa 2010, 2011, 2012 and 2013, the Least Developed Countries Monitor and the annual Africa MDGs Report for four years. He also served as a UN representative at various intergovernmental and continental forums and as coordinator for the UN system-wide support to Africa’s development as well as the focal point for UN/UNECA’s relations with the African Union Commission, NEPAD Secretariat and the African Peer Review Mechanism. Azamat Abdymomunov is the Head of the Center for Strategic Research and Analysis at the Presidential Administration of the Republic of Kazakhstan. During the Russian G20 presidency in 2013, he was Kazakhstan’s G20 sherpa. He has over twelve years of experience in public policy, strategy, negotiation, education and political mobilisation. He has particular expertise about the socio-political environment of Eurasia and its political and security systems, including their organisational structure and decision-making processes. His former positions include advisor to the Prime Minister of Kazakhstan, CEO at the Samghan National Science and Technology Holding, Vice Minister of Education and Science, Head of the Center for System Research, Chief Manager at the Department of Strategic Planning at the national oil and gas company Kazakhoil, Advisor to the Chairman at the Agency for Strategic Planning and several positions with the armed forces. He is also the founder of various startup initiatives in Kazakhstan including the Atameken Startup Fund and the Kazakhstan Startup Weekend. He holds degrees from MIT, Harvard University, Indiana University Bloomington and Kazakh National University. Gary Hawke is Emeritus Professor at the Victoria University of Wellington and Senior Fellow at the New Zealand Institute of Economic Research (NZIER). He joined the staff of Victoria University of Wellington in 1968 and retired as Head of the School of Government and Professor of Economic History in 2008. He was a visiting fellow at Stanford University in the United States, All Souls’ College, Oxford, in the United Kingdom, at the Australian National University in Australia, and with a number of institutions in Japan. He was Tawney Lecturer for the Economic History Society in the UK in 1978, and in 1998 in New Zealand, and he was awarded the NZIER-Qantas Prize in Economics. He is a Fellow of the Royal Society of New Zealand, Distinguished Fellow of the NZ Association of Economists and Fellow of the Institute of Public Administration of New Zealand. He is a Companion of the New Zealand Order of Merit. As Director of the Institute of Policy Studies from 1987 to 1998, he was responsible for projects in a wide area of public policy issues, including relations among Australia, New Zealand and the United States, New Zealand’s position in the Asia-Pacific region, public sector reform, taxation policy, regulatory management, the public responsibilities of private corporations and interactions between public and private sectors, education policy, the future of the welfare state, and biculturalism. He has consulted for government on education policy, social science capabilities and retirement policy, and currently chairs the NZQA Technical Overview Group (Assessment) and is a member of the Ministerial Cross-Sector Forum on Student Achievement. He has been a member of the board of the New Zealand Committee of the Pacific Economic Co-operation Council, NZPECC, since 1987, serving as chair 2002-09. He is a member of the Academic Advisory Council of the Economic Research Institute for ASEAN and East Asia and represents NZIER on its Research Institutes Network. Emeritus Professor Ron Duncan has researched and written about the Pacific island countries (PICs) over many years. He was Editor of the Pacific Economic Bulletin for 16 years, and in this role kept abreast of most of the writings and research on the PICs. Ron taught at the University of the South Pacific during the period 2003-07 and visited most of the PICs during this time. Ron has undertaken consultancies for the Pacific Forum Secretariat, World Bank, Asian Development Bank, AusAID, ESCAP, UNDP, ILO, and the WorldFish Center. This has included work on customs administration, micro/macro-economic technical assistance mechanisms, and several benefit-cost studies as background for the development of the Pacific Plan for the Forum Secretariat. He prepared a paper on Pacific Trade Issues and was the team leader of a major study on the Political Economy of Economic Reform in the PICs for the Asian Development Bank. He also prepared annual economic surveys of the PICs for ESCAP and surveys of PIC labour markets for the ILO. Raymond Saner is Professor Emeritus at the University of Basle (WTO dispute settlement negotiations) and teaches at Sciences Po, Paris (Master in Public Affair). He is the co-founder of CSEND (established in 1993), a Geneva-based non-governmental research and development organisation and the director of its Diplomacy Dialogue branch. His research and consulting focuses on international negotiations at the bilateral, plurilateral, multilateral and multi-institutional levels in the fields of trade (WTO), employment and poverty reduction (ILO, PRSP), trade and development (WTO, UNCTAD, EIF), human and social capital development in the educational sector (GATS/ES/WTO & OECD) and trade, investment and climate change (UNCTAD). Raymond is a pioneer in the field of business diplomacy and contributes to the study of multi-stakeholder diplomacy within the field of international relations. He teaches at diplomatic academies and schools in Europe and North America. Raymond writes research papers on trade and development, new diplomacies (government-NGOs-business-international organisations), agriculture and sustainable development, climate change and inter-agency coherence, and on public governance (policy coordination and policy consultation at the ministerial level).